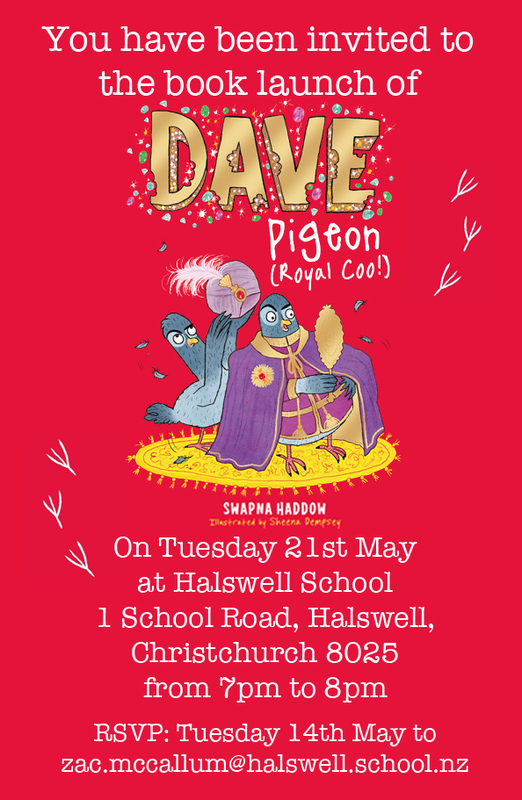 Save the date: It’s the Dave Pigeon (Royal Coo!) launch party! I’m so proud that Dave Pigeon (Royal Coo!) is flying free and will soon be arriving on the shores of Aotearoa in May. To celebrate, you are invited to a right royal shindig here in Christchurch, New Zealand. There will be crafts, drinks, nibbles and a book signing. Please do bring your family and friends along for lots of Dave Pigeon fun!